Box of Mustaches, a photo by Ladewig on Flickr. If you have ever wondered what a box full of mustaches would look like, today is your lucky day. 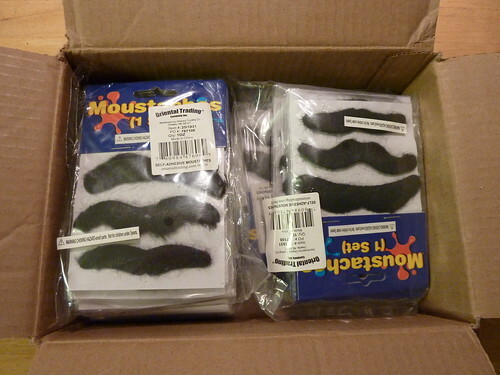 Gaze upon the wonder of a box of one gross of faux mustaches. Marvel at the fine craftsmanship of China’s finest mustache makers. Count the days until you too can grace your upper lip with one of these beauties and indulge your every facial follicle fantasy.